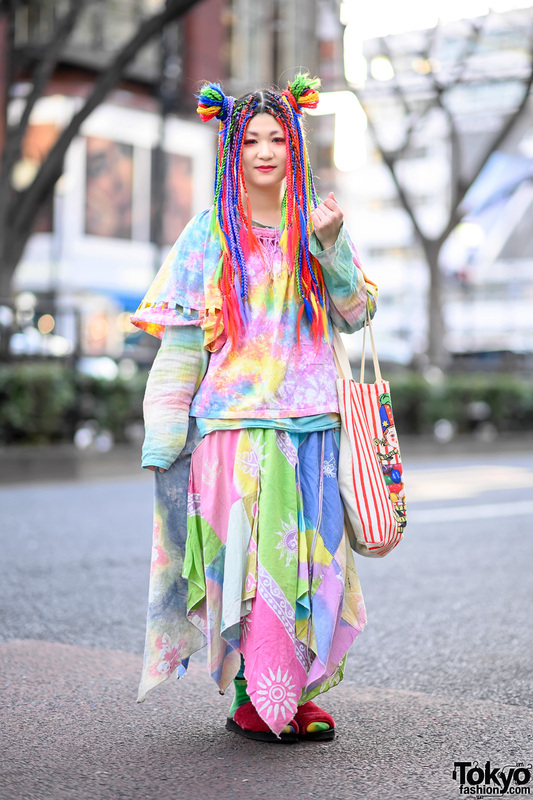 Yuri Nakagawa is a Japanese fashion blogger and magazine model whom we often see around Harajuku. This time, her look included short blonde hair and a faux fur cap. Yuri’s knitted top and skirt are from lilLilly and they feature textured loops. Her jacket is Fleamadonna, her backpack is Topshop and her silver platform ankle boots are also lilLilly. She is also wearing Chocomoo earrings and a neon faux fur scarf from Moussy. 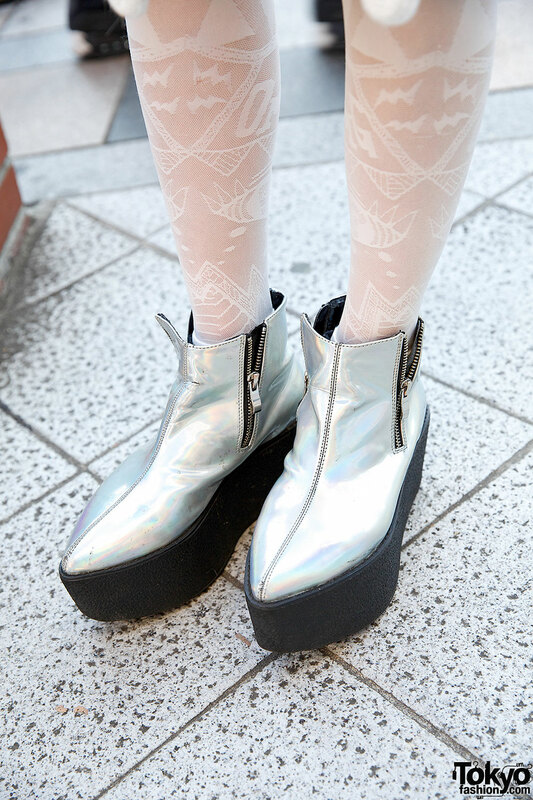 We also noticed her nail art and Chocomoo x Avantgarde Harajuku tights. Yuri told us she likes to shop at Candy and Bubbles, and that she listens to electro music, dubstep and k-pop. Find out more about her by following her Twitter and Instagram.